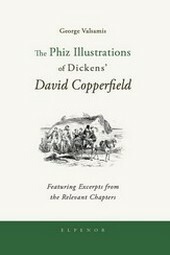 what are some examples of the persecution of women in david copperfeild? Initially, it is David's mother who suffers under the tyranny of Mr. Murdstone. She is presented as helpless , for the loss of her husband leaves her desperately retreating to the security of another man. It is Mr. Murdstone's intention to mould her into the firm individual that he is. In essence, she is dependent upon the supervision of males, since she herself, like Dora, is comparable to a child. As Mr. Murdstone disciplines David, he reprimands Mrs. Copperfield for showing David affection. Later, we see Agnes' almost unhealthy devotion to her father and Annie Strong's remorseful (having had an affair) attachment to Dr. Strong. The image of Annie kneeling at the foot of Dr. Strong, as he sits in his armchair, is no different than an obedient slave bound by a guilty conscience. ANNIE STRONG DID NOT HAVE AN AFFAIR, HER COUSIN MADE A PASS AT HER THE NIGHT BEFORE HE WENT TO INDIA AND SHE WAS TOO ASHAMED TO TELL HER HUSBAND AS HE HAD BEEN SO GENEROUS TO HIM.